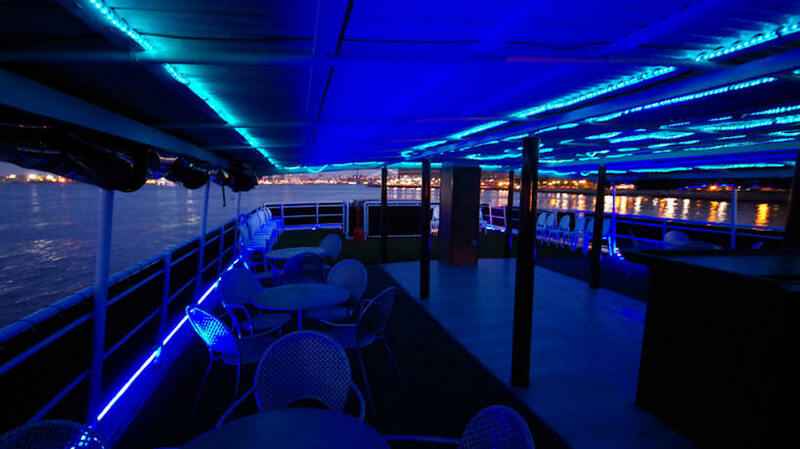 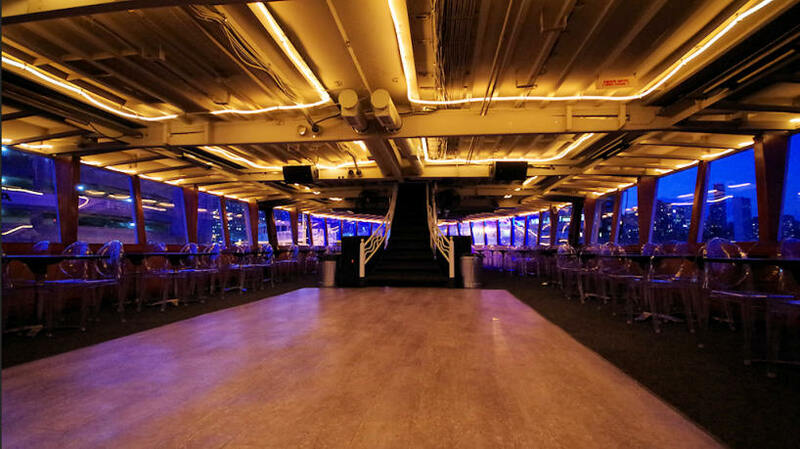 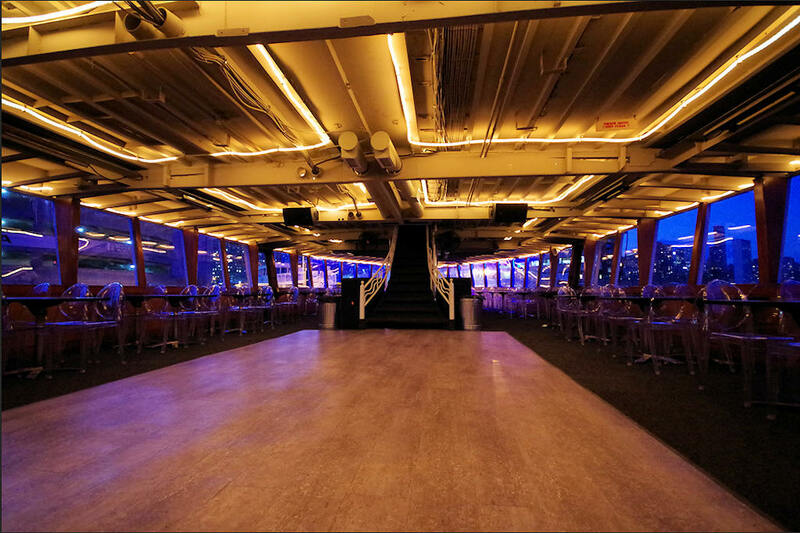 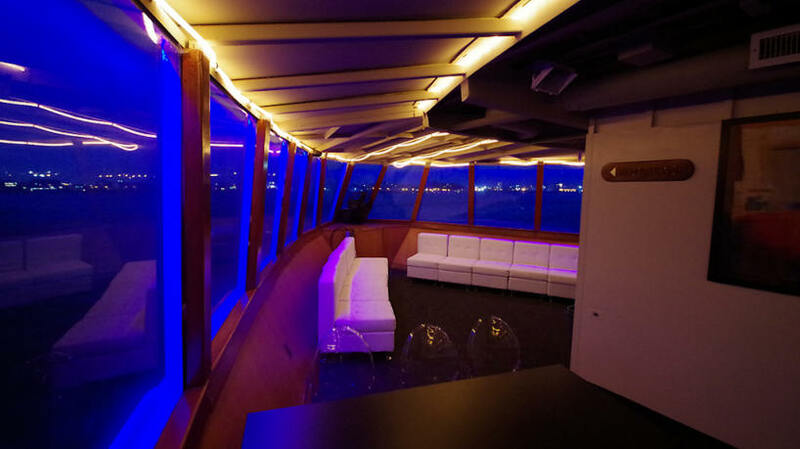 The party boat Cabana accommodates up to 300 Guests. 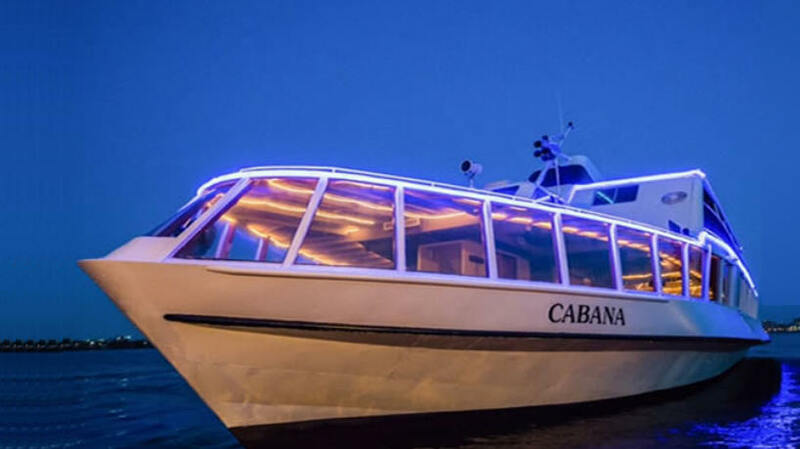 Cabana is perfect for a private yacht charter in casual setting. 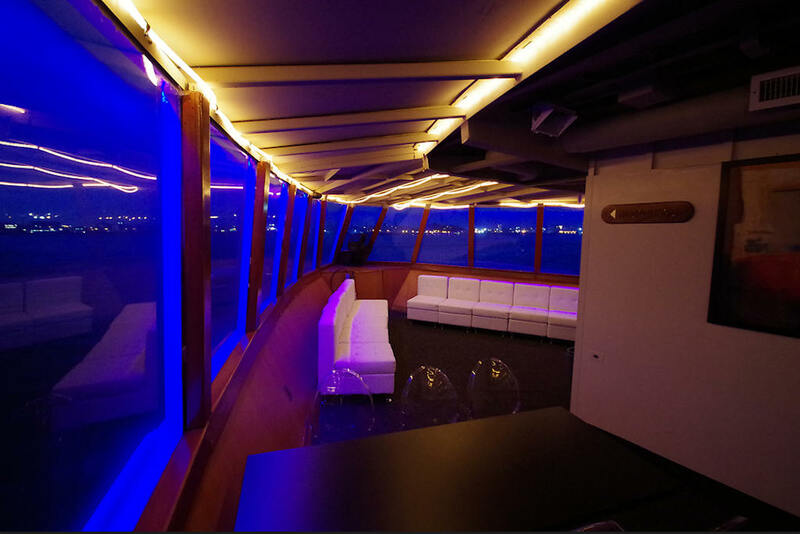 She boasts panoramic windows for spectacular views of the majestic skyline. 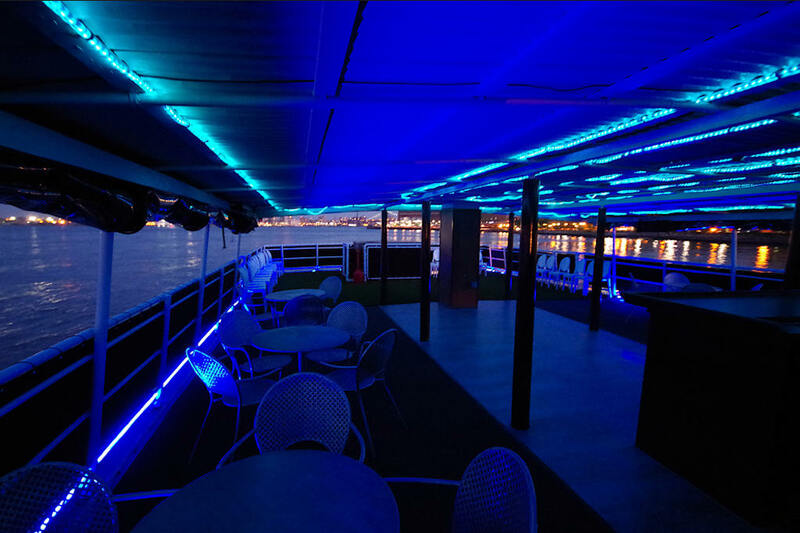 She has 2 full service bars on both decks, LED lighting, sound system, and provides comfortable casual furniture on her promenade deck.